Leland, Whiteville – “Our classical curriculum assures that over 90% of our students pass the state end-of-grade science tests,” said Baker Mitchell, President of The Roger Bacon Academy. “Several classes have 100% passing year after year,” he added. Mitchell, an electrical engineer who holds two patents and has authored over three dozen papers in technical journals, believes that the state tests do not adequately challenge the students in the four charter schools that his company manages. “One key to our county-leading test scores is keeping the 2,000 students challenged,” Mitchell declared. 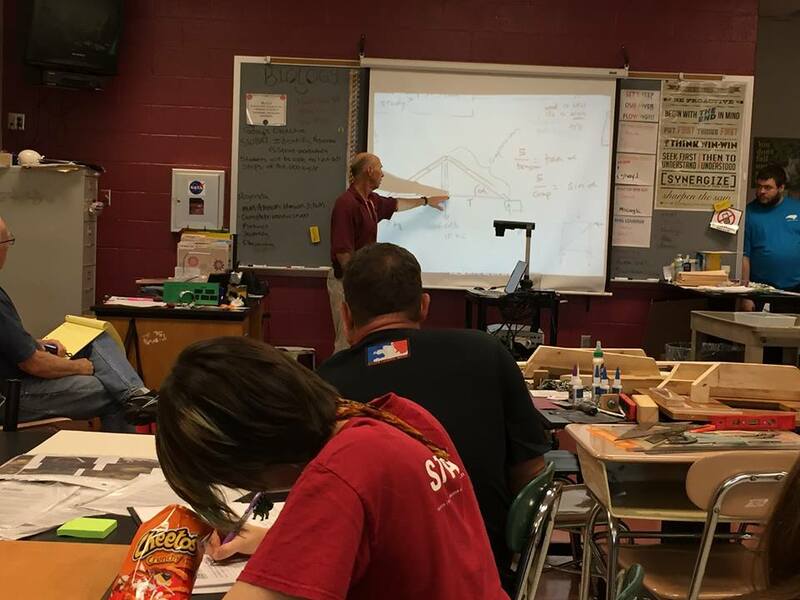 Several years ago some of our science teachers felt that their students should be given the opportunity to hone their skills by competing in the national Science Olympiad. “We looked at the various STEM programs or STEAM programs, and felt these were ill-defined or unproven and had little data to suggest that they achieved better results than what Bacon’s classical curriculum was producing,” said David Johnson, seventh grade science teacher at Charter Day School. But Johnson felt that the tightly controlled competition of the annual national Science Olympiad might serve to challenge his students and spark additional interest. Johnson explained that the annual Science Olympiad consists of 23 separate events that a student may choose to enter and compete with other students in the district, region, or state. The rules for each event are very tight, and the scoring is strictly from quantitative measures such as time or distance or weight. “There is no subjectivity in the scoring, and the students know that they are all competing on a level field,” said Kellye Fell, science teacher at Columbus Charter School in Whiteville. “Whose rocket can stay airborne the longest or whose bridge can hold the heaviest load with the least structural weight? These are the measures of success that make the competition both meaningful and fair,” Fell added. To support the students in their events, Mitchell and a team of science teachers and coaches recently attended a Coaches Institute in Raleigh. Here, the two-day institute had sessions that were devoted to explaining the fine points for each of the 23 events and what winning strategies had prevailed in prior years. Johnson said the team gained valuable knowledge that will let them better support their students’ efforts in preparing for the events. 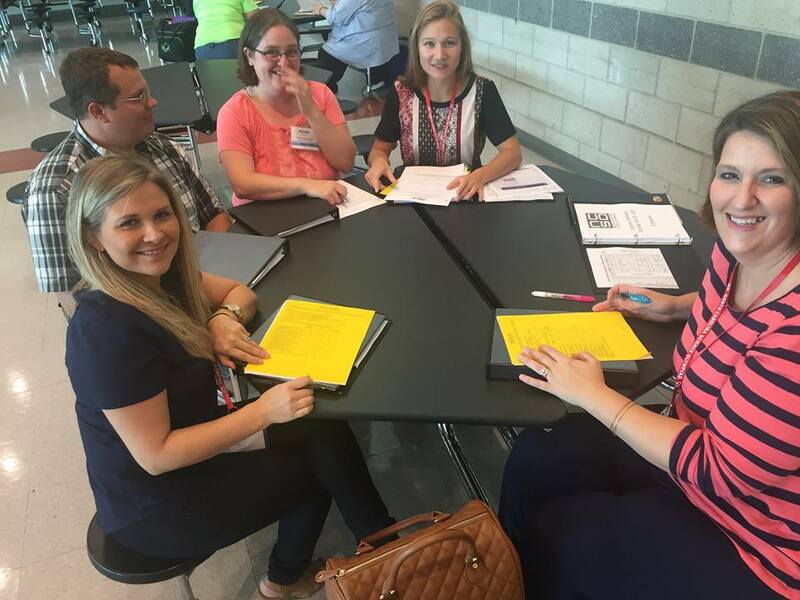 Mitchell and Science Curriculum Author Erica Hodulik selected middle school teachers from K-8 client schools, Charter Day School, in Leland, and Columbus Charter School, in Whiteville, to attend the workshop hosted by the NC Science Olympiad (NCSO). Electric Vehicle- Teams must design, build and test one vehicle that uses electrical energy as its sole means of propulsion to travel as quickly as possible and stop close to a Target Point. Bridge Building- Teams will design and build the lightest bridge with the highest structural efficiency that can span a given opening meeting the requirements given. Fossils- Teams will demonstrate their knowledge of ancient life by identifying fossils and answering questions about classification, habitat, ecologic relationships, behaviors, environmental adaptations and the use of fossils to date and correlate rock units. In 2014, more than 800 K-12 teams representing over 14,000 students and 70 counties in North Carolina participated in NCSO activities. The public charter middle schools, Charter Day and Columbus Charter, will compete in a regional competition including Brunswick, Bladen, Columbus, New Hanover, and Pender district schools. The March competition will be the fifth for Charter Day School and first for Columbus Charter School. RBA also manages Douglass Academy in downtown Wilmington, opened in 2013, that currently serves grades K-4, as well as South Brunswick Charter School in Southport, opened in 2014 and currently serving grades K-3. The schools will expand to serve grades K-5 by adding a new grade level each year. The four schools in the group are operated identically, and are tuition-free public schools. Open enrollment for the 2016-2017 academic year will run the month of January 2016.